A high levels of copper and other mineral imbalance are a major contributor to anxiety. Those with a low tissue calcium and magnesium or a high sodium to potassium ratio are more likely to anxious. Anxiety is a general term for several disorders that cause nervousness, fear, apprehension and worrying. Anxiety affects how we feel and act. It can manifest real physical symptoms. Mild anxiety is vague and unsettling, while severe anxiety can be extremely debilitating, having a serious impact on daily life. Most people often experience a general state of worry or fear before confronting something challenging such as a test, examination, recital, or interview. These feelings are easily justified and considered normal. Anxiety is considered a problem when symptoms interfere with a person’s ability to sleep or otherwise function. 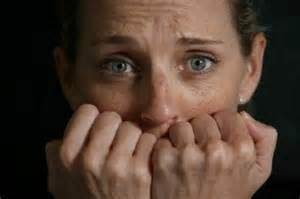 Anxiety occurs when a reaction is out of proportion with what might be normally expected in a situation. There is a often strong correlation to those high in copper with other altered minerals and heavy metals relationships than can trigger symptoms of anxiety and anxiety disorders. Doing a hair test will inform you of your exact mineral status and help you determine the actual level of unbound copper as well as other nutrient imbalances. Once these imbalances are corrected with nutritional rebalancing, the symptoms of anxiety can be reduced.